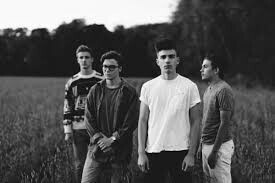 Guytano is an alternative rock band from Sartell, MN who formed in 2010 and have since released their debut album, ‘I Am Inside My Body’, in 2016. They have also released multiple singles this year, one being ‘Please Say No’ and their most recent, ‘Burn It Slow’. Along with these tracks, they are getting ready to release another single and an EP this fall. Their music is rooted in a mixture of influences, from 80s alternative to dance music. Their opener, Wyatt Moran, is an indie punk artist from Rochester, MN who just released his most recent album, ‘Junior’. Guytano is for fans of Coldplay, Snow Patrol, and Yam Haus.